Collisions with the playing surface pieces are acting crazy by letting tings pass through, or triggering collisions when passing across two surface tiles. I'll be hacking away at the issues but after so much trial and error I think it's time to start investigating the 3d models as the culprit and not unity. For some reason the edges of the 3d objects are not meshing together cleanly. Causing my ball to jump off the surface whenever crosses the crack between meshes. These meshes should be perfectly aligned but for some reason the ball will not smoothly from one to the other along the surface. I have tried adjusting the ridged body in a million ways, making it all bigger and smaller, adjusting the physics settings. I am stumped. Is this just an issue with my 3d objects? Can I blend the meshes into one in Unity? 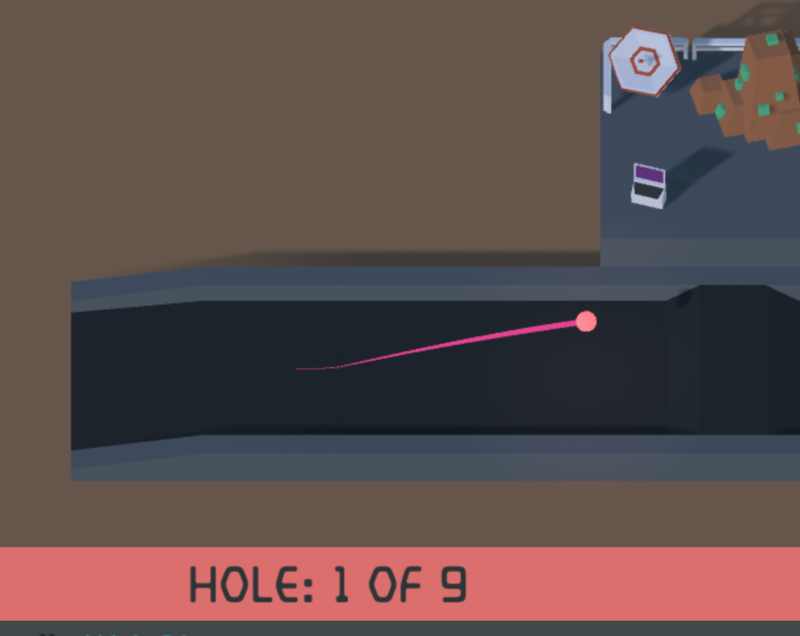 Should I build each golf hole in blender first? I will be struggling through this issue in the coming weeks.